Enter screen name and real name EXACTLY the way you want it on the tag! Spelling, punctuation and capitalization will be EXACTLY as you type it. IF YOU DO NOT WANT A NAME UNDER YOUR SCREEN NAME TYPE "NONE"
These were designed, made and shipped within 24 hours. They are not the typical paper tag with a plastic cover snapped on top, the graphics are applied to an aluminum base. Ingenious design and eye-catching graphics on this sturdy built name tag. This is not a flimsy item that will fail after a few uses but should hold up well for a very long time. The magnetic bar that allows you to adjust it to STAY WHERE YOU PUT IT is awesome and does not allow it to move around on your clothing. Design Mine Graphics comes through once again with the real deal. 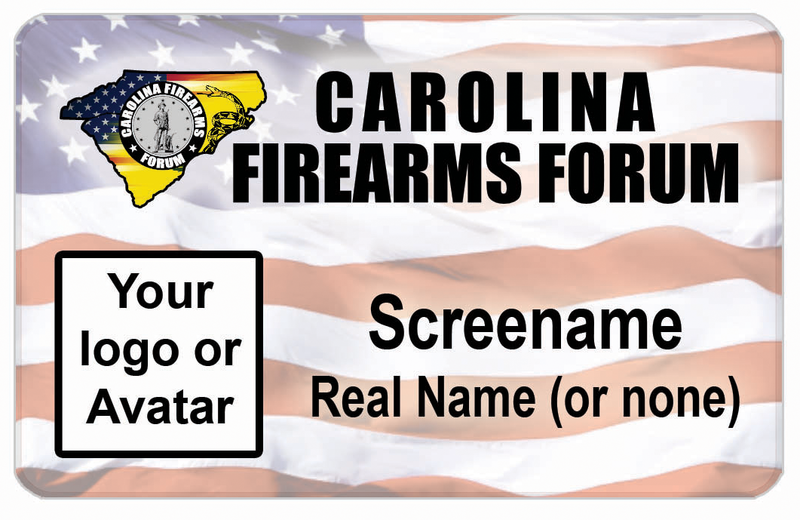 Click the button below to add the CFF Name Tag to your wish list.